Jonathan Dallas Mead joined the Royal Australian Naval College in 1984 and graduated in 1986 with a Diploma of Applied Science. He specialised in Mine Clearance Diving and Explosive Ordnance Disposal and after serving as Executive Officer of Clearance Diving Team One he undertook Principal Warfare Officer (ASW) training. A succession of warfare postings then followed, including: Anti-Submarine Warfare Officer in HMAS Melbourne and HMAS Arunta, Fleet Anti-Submarine Warfare Officer and Executive Officer of HMAS Arunta. In 2005, Commander Mead took command of HMAS Parramatta and saw active service in the North Arabian Gulf as part of Operation CATALYST in 2005-06; for this his ship was awarded a Meritorious Unit Citation and he was appointed a Member of the Order of Australia (AM). He undertook studies at the Indian National Defence College in 2007 after which Captain Mead was appointed as Australia's Defence Adviser to India. Promoted to Commodore, in July 2011, he deployed to the Middle East where he commanded Combined Task Force 150, responsible for maritime counter terrorism, during October 2011-April 2012 and he was consequently awarded a Commendation for Distinguished Service, in 2013, for his service in the Middle East region. Upon his return to Fleet Headquarters in 2012, he served as Commander Surface Force. In January 2015, he was promoted to Rear Admiral and assumed the position as Head Navy Capability. Rear Admiral Mead holds a Masters Degree in International Relations, a Masters Degree in Management and a PhD in International Relations. He is the author of Indian National Security: Misguided Men and Guided Missiles published in 2010. 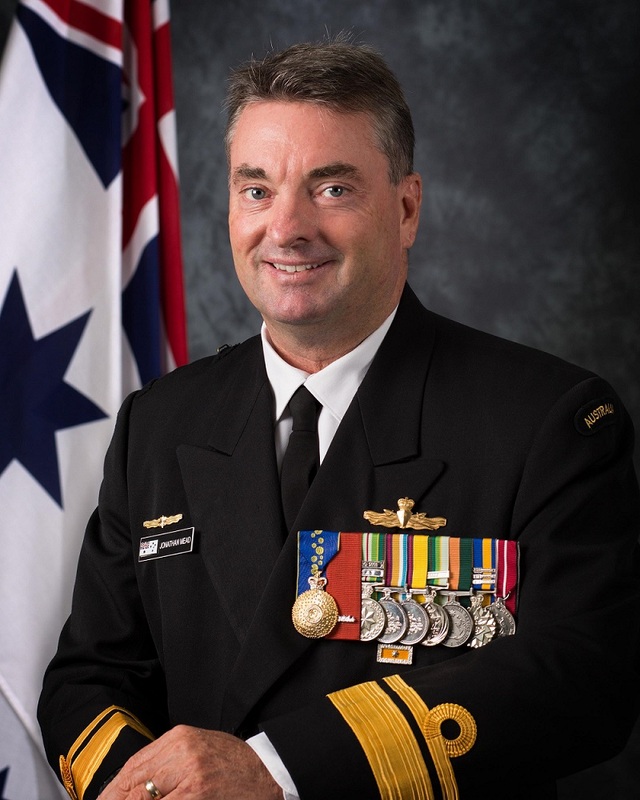 Rear Admiral Mead assumed the position of Commander Australian Fleet on 19 January 2018.